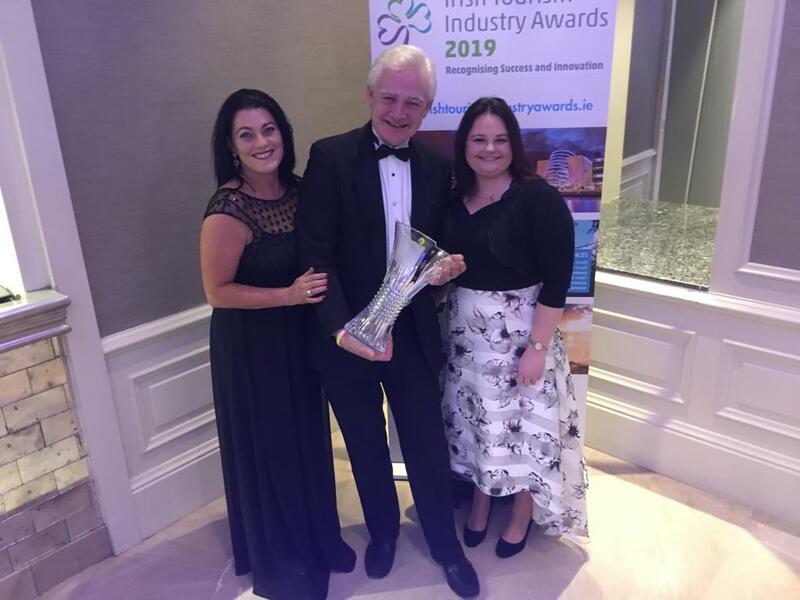 Killarney based Gleneagle Hotel group has won the Best Innovative Place to Stay award at the inaugural Irish Tourism Industry Awards. The event encourages, recognises and celebrates excellence in the tourism sector. The Best Innovative Place to Stay award award is presented to a business or organisation that has successfully developed and promoted a unique, creative and exciting innovation within overnight accommodation. 15 winning companies were selected as best in their category from 75 shortlisted finalists. “The ethos behind The Gleneagle Group is to be more than just a group of hotels, to offer more to our guests and to do more for them too. And so, in August 2015, in a new departure for us and a first in the Irish accommodation sector, we embarked on our most innovative project yet - to make our properties an accessible, welcoming and supportive environment for everyone. We adopted a series of improvements and innovations to ensure our guests experience an unbroken chain of accessibility whilst on their customer journey with us. Our customer experiences begin via our advertising, websites or call centre. Each of these areas have been specifically engineered to be as user friendly as possible.